Providing you the best range of acs 210 dsa semi automatic double column bandsaw machines, stainless steel semi automatic double column bandsaw machines, acs semi automatic double column bandsaw machines, acs 250 dsa semi automatic double column bandsaw machine, acs 300 dsa semi automatic double column bandsaw machines and semi automatic double column bandsaw machines with effective & timely delivery. 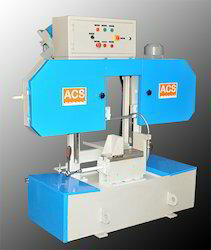 We are offering ACS 210 DSA Semi Automatic Double Column Bandsaw Machines to our client. We are offering Stainless Steel Semi Automatic Double Column Bandsaw Machines to our client. 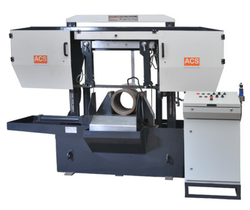 Our model number ACS DCM of ACS Semi Automatic Double Column Bandsaw Machines are widely acknowledged for their high performance and sturdy construction. Fabricated using qualitative raw material these machines are available various specifications. We are offering ACS 250 DSA Semi Automatic Double Column Bandsaw Machine to our client. Our range of semi automatic ACS 300 DSA Semi Automatic Double Column Bandsaw Machines are acknowledged for their high performance and sturdy construction. The entire gamut is available in various technical specifications. 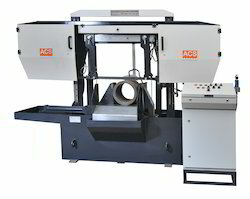 Looking for Semi Automatic Double Column Bandsaw Machines ?